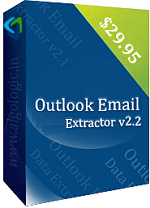 It is a best software to extract email addresses from any document files such as .pdf files, Word Document (.doc / .docx), Excel files (.xls / .xlsx), Power Point (.ppt / .pptx), .rtf, .txt, .csv, .xml, webpages and other file format from your computer. 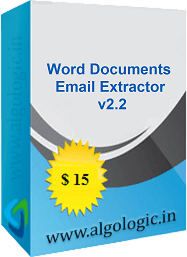 It is a software to extract email addresses from Thunderbird from sender, recipient, cc, bcc, subject and mail body of email messages in Thunderbird. 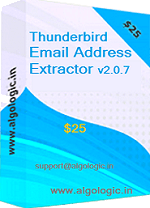 It supports custom Thunderbird Mail Sync Location and filters to provide you required email addresses. 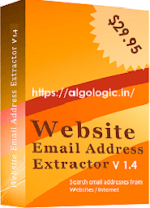 A software to extract email address list from online PDF files from websites. 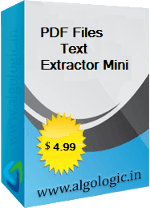 It searches all online PDF files from the given list of websites and inner links found in websites then extract email addresses list from all found PDF files. Free trial download available for Windows. 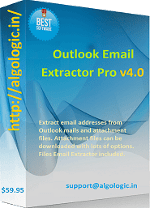 Outlook Attachment Download v2.3 - a software to download attachment files from Outlook emails. 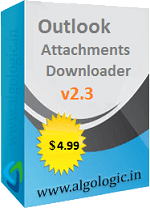 Outlook Attachment Downloader v2.3 have lots of options of saving attachment files. It allows you to select specific type(s) of files to download / save in defined folder. Algologic © 2018 All rights reserved.